Autographed plain white card by Manchester United footballer Wilf McGuinness. 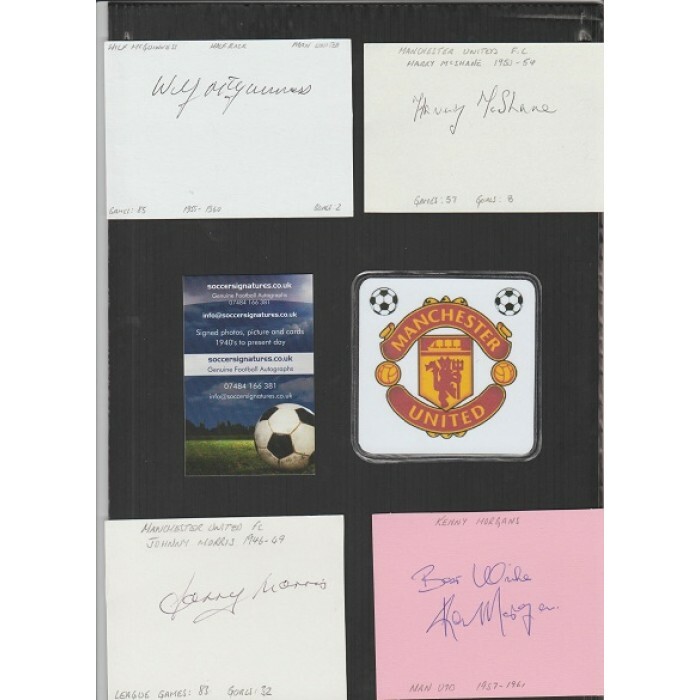 Home » Autographed plain white card by Manchester United footballer Wilf McGuinness. This is a credit card size plain white card signed by former footballer Wilf McGuinness. Wilf McGuinness was a former player with Manchester United between 1955 and 1959. The other signed cards are also availalbe on this site. Please note £1.50 postage cost will be refunded if this item is purchase as an only item.